Omeprazole magnesium, the generic for Prilosec and Prilosec OTC, is a medication available as a prescription and over-the-counter drug. Prescription omeprazole treats stomach ulcers for 4 to 8 weeks. It also treats heartburn and other symptoms of gastroesophageal reflux disease (GERD). Over-the-counter omeprazole treats frequent heartburn that occurs for more than 2 days a week. However, over-the-counter omeprazole should not be used if you have an underlying condition or if heartburn continues after the indicated 14-day therapy. Omeprazole prevents the secretion of acid in the stomach to alleviate symptoms. 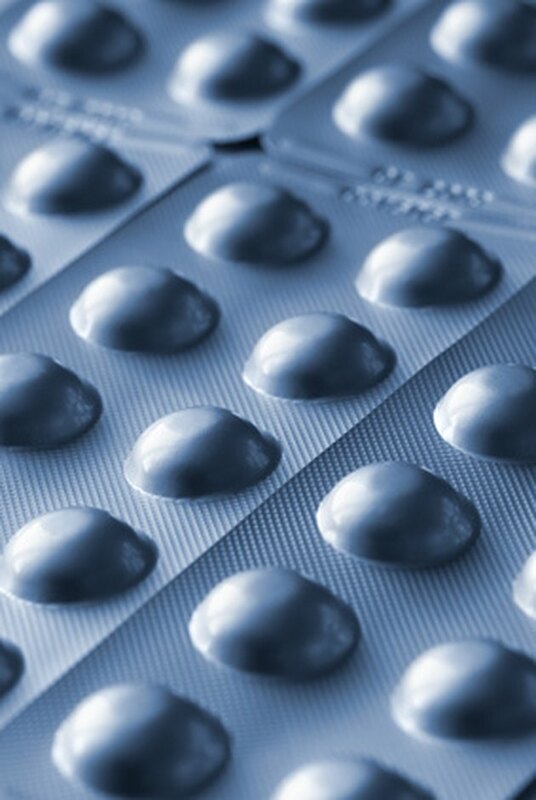 Omeprazole is generally well tolerated and the side effects seen occur in low rates. If you have any concerns, discuss the medication with your physician. The "Drug Information Handbook" reports that 7 percent of individuals taking omeprazole may experience headache as a side effect. Using a pain reliever, such as acetaminophen (Tylenol) or ibuprofen (Advil) may prove helpful. However, before taking any over-the-counter medication, ask your physician or pharmacist, which is the best medication for you. If the headache becomes persistent and bothersome, inform your health care provider as soon as you can. Omeprazole may cause diarrhea in up to 4 percent of people. This side effect may become bothersome and can lead to abdominal pain and flatulence. Speak with your health care provider about your options if you desire to stop the medication. If diarrhea becomes persistent or severe or if you have blood in your stools, contact your health care provider immediately. Nausea and vomiting are two common side effects seen with the administration of omeprazole. Nausea may occur in up to 4 percent of individuals and vomiting may occur in up to 3 percent of individuals, according to the "Drug Information Handbook." Chewing gum or sucking on hard candy may help alleviate these adverse effects. Eating small, frequent meals and avoiding fatty foods may also prove helpful. If the side effects become worse or you develop a fever, seek medical attention right away. Dizziness may also occur with the administration of Omeprazole, although it proves rare because it only affects about 2 percent of individuals. If you experience dizziness, use caution when driving or engaging in activities that require alertness or concentration. Your body will adjust to the new drug and this side effect will decrease over time. If your dizziness becomes severe, contact your physician as soon as possible.